The Western Bar – Tradition with a modern twist. Although renowned for its Traditional Irish music session, the Western Bar also offers a live DJ and cover bands for those who prefer something with a modern twist. The Western Bar has a unique and inviting atmosphere. Entertainment is provided on various evenings and ranges from live sporting events on the big screen to a very popular traditional music session. Click here to see our weekly events. 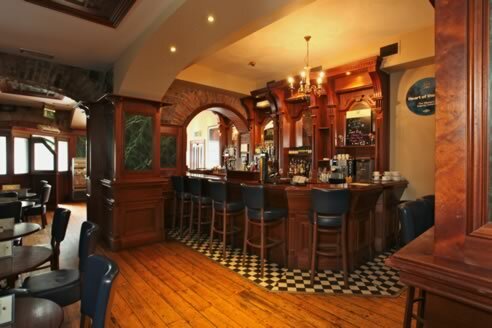 While the front bar captures a little piece of old Ireland with a cosy traditional feel, the back bar is a bright, spacious and contemporary venue for all occasions. The large decked beer garden is ideal place for a BBQ or to unwind with a pint and make the most of the all too rare Irish sunshine. The Western Bar offers a wide selection of wines, cocktails, spirits, draughts, beers and craft beers served by friendly and experienced staff.